In just over a week from now, over a hundred men and women from more than 30 different countries will converge on Hainan, China, for three days of intense competition. As much as any athlete, these competitors embody the Olympic motto of Citius, Altius, Fortius. Faster, Higher, Stronger. This, however, is a competition of a very different sort. These athletes will be competing in the World Memory Championships. Competitors at the World Memory Championships can perform incredible feats of mental gymnastics. For instance, the world record for memorising a shuffled deck of cards is a mere 21.9 seconds. The world record for binary digits is 1080 binary digits memorised, without a single error, in five minutes. These achievements are, of course, astonishing but they are not the most remarkable thing about these mental athletes. Rather, what is most remarkable about the participants in the World Memory Championship is that there is actually nothing particularly special about them at all! By this, I mean that memory athletes are not savants and were not born with super powers. Rather, they all know and use a small set of ancient mnemonic techniques, known collectively as the Art of Memory. 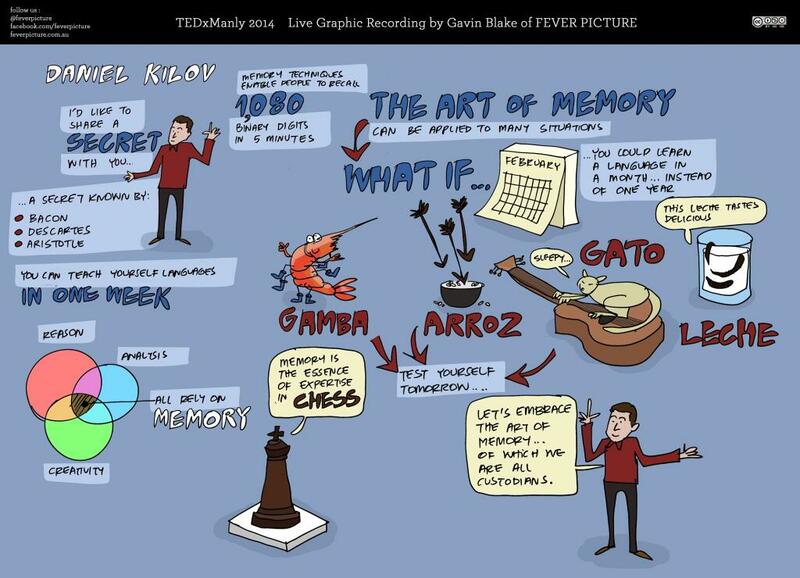 With a little bit of practice, anyone can learn to think and remember like a memory athlete. In this post, the first of a three part series, I’m going to uncover the secrets of these mnemonic wizards. In part two, I’ll demonstrate how their methods and techniques could revolutionise our classrooms and in part three, I’ll explain how these ancient techniques could catalyse innovation and success in a corporate and business setting. The memory championships were established in 1991 by Tony Buzan (also known as the creator of ‘mind-maps’ and a presenter at Mind & Its Potential 2011) as a way of promoting the techniques of the Art of Memory. The techniques themselves, however, predate the sport of competitive memorising by more than 2000 years. The techniques used by modern memory athletes originated over 2000 years ago in Ancient Greece. These techniques were almost universally practiced by the thinkers of the ancient world who believed that mnemonic training was essential to the cultivation of one’s memory, focus and creativity. So how then, do these techniques work? Although memory athletes employ a wide range of different strategies in competition, they all involve the same three steps. The first step is to be mindfully aware of whatever it is that you are trying to learn; the second step is to create a visual, mental image of whatever you are trying to remember; the third step is to organise it in a way that makes it easy to recall later. The next two steps, those of visual encoding and organisation, go hand in hand. We all have naturally fantastic memories for certain tasks; no one, for instance, after being given the ‘grand’ tour of a friend’s house then has to sit down with a blueprint to learn the layout by rote. A few minutes of wandering around and we can mentally navigate the house without any difficulty. Our brains are primed for this kind of learning. Thus, the key to memorising is to encode information with which we normally struggle into a more ‘brain friendly’ form. An easy way to do this is to visualise a story involving the things you want to remember. The more energetic and vivid the mental images are, the more effectively they will stick. All of us could stand to improve our memories; whether we are looking to pick up a new language in months instead of years (like Bruce Balmer, a competitor from the first world memory championships who learnt 2000 foreign words in 18 hours); to cram for an exam (I would memorise weeks’ worth of notes in the hours preceding my undergraduate exams); or just to remember a shopping list. The techniques of the memory athletes offer us a way to do exactly that. This article was originally printed in Issue 411 (May/June 2014) of the Australian Mensa magazine, TableAus. Twain had a tortured relationship with his memory throughout his life. In “Old Times on the Missisippi”, Twain identified memory as the “one faculty which a pilot must incessantly cultivate until he has brought it to perfection” and regarded a well-developed memory as “the most wonderful thing in the world”. Twain’s own memory, however, was famously bad. Albert Paine, a well-known biographer of Twain’s, wrote that, even as a young man, Twain would lose his way in familiar neighbourhoods, or fail to recognize pictures that had been hanging in his own home for years. Clearly, Mark Twain, the writer-lecturer, was in serious need of an aide de memoire. In 1887, Twain crossed paths with Professor Loisette a ‘memory doctor’ who made a living peddling a system of memory techniques bearing his name. Inductees into the “Loisette system” were sworn to secrecy, and charged the modern equivalent of five hundred dollars to learn the “natural laws of memory” which the doctor claimed to have discovered. Twain enrolled in a several-week-long course and at first was deeply impressed, even going so far as to publish a testimonial in favour of the Loisette system. He was soon to regret this; only one year later a book was published titled “Loisette” Exposed” which revealed him to have invented not only his academic degree but also his name. ‘Alphonse Loisette’ was born Marcus Dwight Larrowe and had no qualifications to speak of. His entire system, it turned out, had been either plagiarised from other sources or oversold as to its effectiveness. Essentially, the dinner table and billiard table served as loci to which his mental pictures were affixed. Although Howells believed that Twain had invented the system, Twain was actually drawing from a two thousand year old tradition of memory training known as the “Art of Memory” and employing one of its oldest techniques: The method of loci. The invention of the Art of Memory is usually attributed to the Ancient Greek poet, Simonides, and although the art was mentioned in writings by Aristotle, the earliest known systematic account of the memory techniques come from the anonymously written Rhetorica Ad Herennium as well as works by Cicero and Quintillian, all of which were penned around four hundred years later. We know that these techniques were almost universally practiced by thinkers of the ancient world precisely because of the shallow way in which writers treat the subject. Just as a modern writer about, say, the various uses of the internet, wouldn’t bother to spend much time explaining what the internet is or, for instance, what Google is, writers of ancient memory treatises simply took knowledge of the Art of Memory for granted. Although the Art was originally developed to help aspiring students of rhetoric to remember the content of their speeches, the techniques of the Art of memory, and in particular the method of loci, was widely influential and found expression in a surprising number of ways. During the Middle Ages the Art of Memory was incorporated into the ethics of Thomas Aquinas. Another persuasive hypothesis put forward by modern historians is that Dante’s Divine Comedy is properly understood as a memory system with its striking images organized along a series of loci. During the Renaissance period, the influence of the Art of Memory was ubiquitous in art, religion, philosophy and science, and its practitioners included Francis Bacon, Rene Descartes, Gottfried Leibniz, Giordano Bruno and probably Shakespeare. 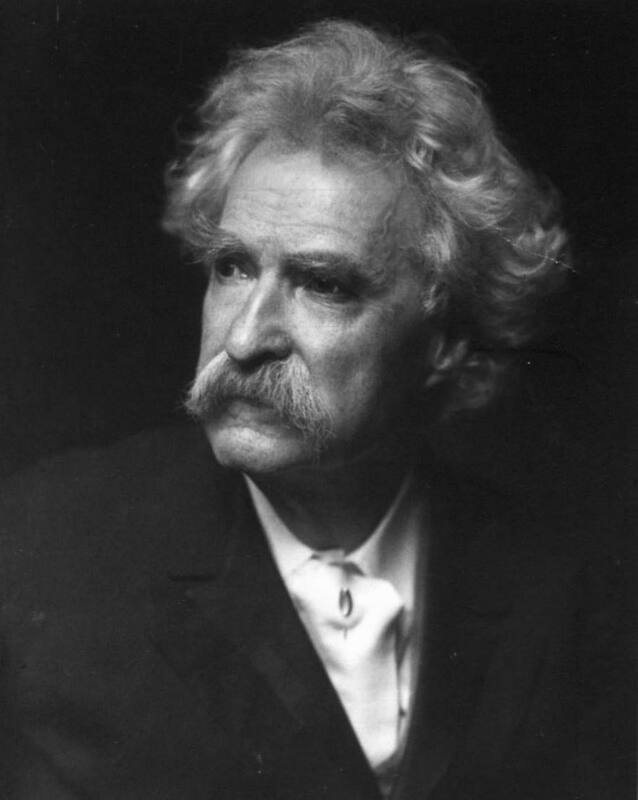 Mark Twain’s memory building game was an externalized version of the internal spatial mnemonic used in the Art of Memory. However, although he almost certainly didn’t know it, he was certainly not the first to do so. In 1550, Italian thinker Giulio Camillo Delmino published an eighty-seven page book outlining plans for the construction of what he called a memory theatre. The theatre was designed to act as a physical repository of memories and consisted of a small pulpit which opened onto an auditorium divided into seven sections. In each section, various images and messages would be inscribed, which Camillo claimed would allow the occupant of the pulpit to “be able to discourse on any subject no less fluently than Cicero”. Although hailed as a genius during his lifetime, Camillo and his work fell into obscurity after his death. It wasn’t until historian Frances Yates published “The Art of Memory” in 1966 that Camillo’s work once again caught the public imagination. Yates identified Camillo’s ideas as being a continuation of a much older tradition of the the method of loci. This mental technique is often considered the crowning jewel of the art of memory, and, like Twain, Camillo believed his personal contributions towards the memory theatre were a giant leap forwards in mnemonic techniques and in learning. Just like Twain, Camillo was wrong. His memory theatre was not the revolution he had hoped for. Indeed, it was never constructed. The ‘trick’ to Twain’s memory system was to create mental simulacra and then organize them in locations, as described above. The distance between these locations encoded the comparative length of their reigns. To remember the reign of William I, for instance, Twain recommended using the image of a whale; “We choose the whale for several reasons: its name and William’s begin with the same letter; it is the biggest fish that swims, and William is the most conspicuous figure in English history…” Henry II was to be remembered as a hen and Richard the Lion-heart as a lion. 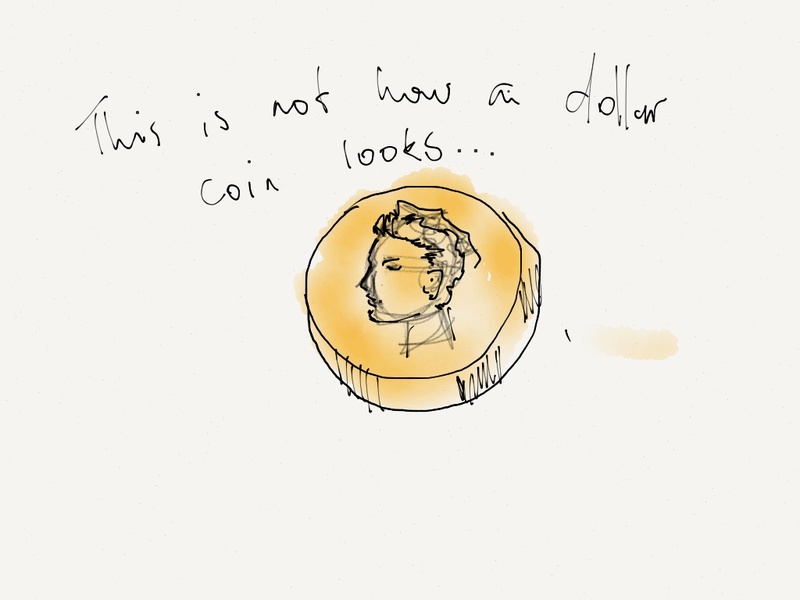 Twain’s memory game was a financial failure. His dream of transfiguring education never came to fruition and his writings on memory techniques weren’t published until after his death. Nonetheless, his techniques supported a successful lecturing career, helped him conquer his chronically poor memory, inspired his literature and transformed his children’s attitudes towards their own learning; in their biographies both Susan and Clara Clemens recall fondly the outdoor memory game. Although our own memories may not be as bad as Twain’s, we could probably all nonetheless benefit from some of his memory techniques.